Carry your memories with you on a Samsung Galaxy S10 personalised case. Our personalised phone cases offer your phone great protection. A personalised hard case that won’t hinder the sleek look of your phone. A personalised case from GoCustomized ensures that your phone is well protected from bumps and scratches. The design of the case has kept the design and functionality of your Samsung Galaxy in mind. All buttons and access ports are easily accessible with this Samsung Galaxy S10 personalised case. Not only does this personalised case add protection for your phone, but it adds a unique touch of style to your device that is completely created by you. It’s the best of both worlds, protection and style in one case. Don’t take the risk of dropping your phone without a case, it happens when you’re least expecting it! How do I design my personalised phone case? 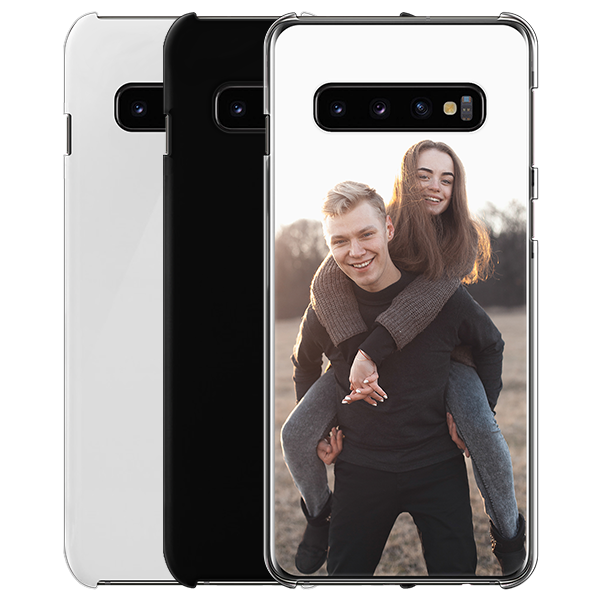 You can design your own Samsung Galaxy S10 personalised case in three easy steps. First, select the base colour you wish to use. This is the colour which will be visible on the edges of your case. Then you can choose to use an image, a design, or logo to design the case with. You can upload these straight from your computer, tablet or smartphone. In addition, you can upload images straight from Facebook and Instagram using our social media module. Add texts, such as a quote or special date for final touches. There are plenty of fonts and colours to choose from. When will I receive my phone case? 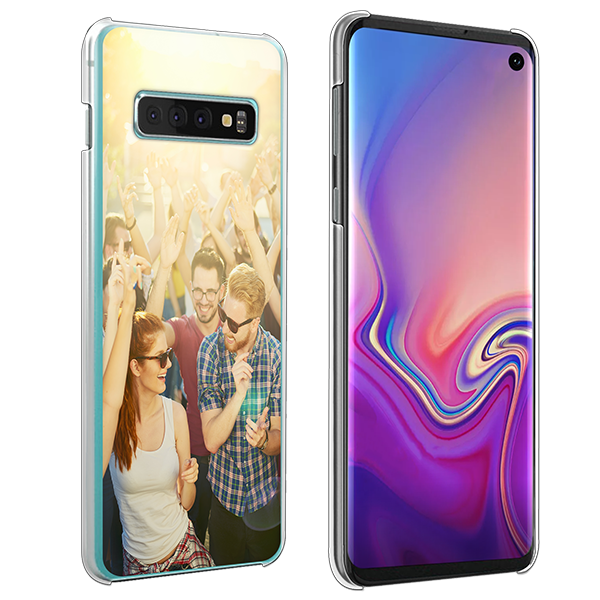 Once you have finished designing your Samsung Galaxy S10 custom case, check that all of your details are correct before you finalise your order. We want to make sure your package is delivered to the right address! Once everything is finalised, we can ensure your case will be produced almost immediately. Our system is fully automated and your order will be shipped within 24 hours of ordering it. You don't have to stay at home to receive your phone case. All our packages fit right in your mailbox. If you have any questions regarding the design or ordering process of your Samsung Galaxy S10 personalised case, please check our FAQ page or contact our customer support!